Always be ready to bring your best hunting buddy along with the Owens Products Hunter Series Single-Compartment Dog Box without Top Storage. This seriously strong box boasts aluminum diamond-tread construction and a lockable, slam-latch door with a storm cover. Generous 7" x 10" side vents offer maximum air flow. Interior liner makes cleaning easy. Made in USA. 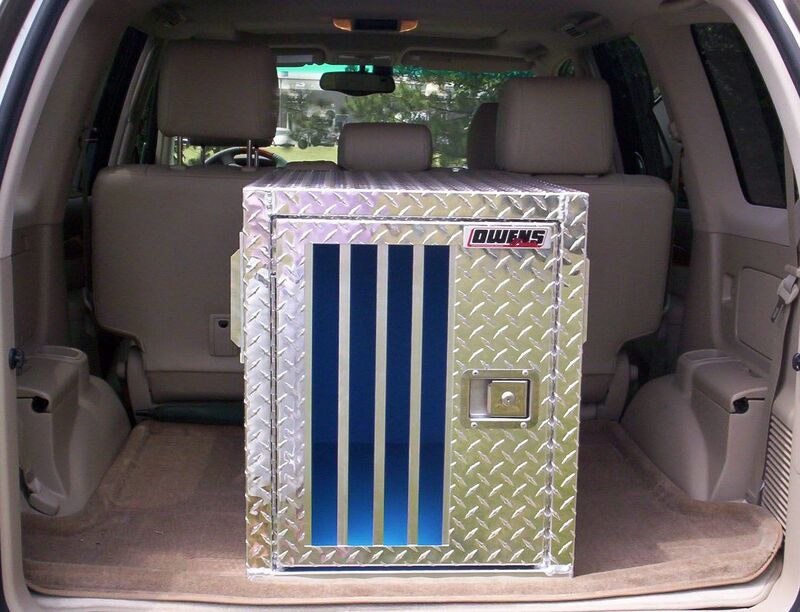 30"H x 20"W x 24"D.
Dog compartment: 23"H x 20"W x 29"D.
Owens Heavy duty Tactical Containment Transporter (Black) 24" x 36" x 29"